Come learn English in beautiful Denver, Colorado! Affordable Tuition. Our low tuition makes education affordable. Monthly Payments. We give our students the opportunity to make monthly payments instead of paying for the entire semester at once. Amazing Location. We are situated in the Rocky Mountains, in the beautiful city of Denver, Colorado, with convenient access to residences, shops, restaurants, and transportation. Denver has been voted the #3 healthiest city in the USA and the #2 place to live. Student-Centered. We build programs that are unique to individual student’s aspirations and learning styles. Family Community. We provide a safe, comfortable, supportive community dedicated to education and learning about one another. Diverse Student Body. Our students are from all over the world, creating an international, multicultural learning environment. We have students from more than 50 different countries in our school! Dedicated Faculty and Staff. Our faculty and staff have years of experience in teaching English and test preparation to students. They speak multiple languages (Arabic, French, Spanish, Russian, Tagalog, and Thai, to name a few!) and have spent time abroad in many different countries. Flexible Class Schedules. We offer classes in the morning and the evening to suit student needs. Small Classes. Our maximum class size is 18 to ensure maximum learning. 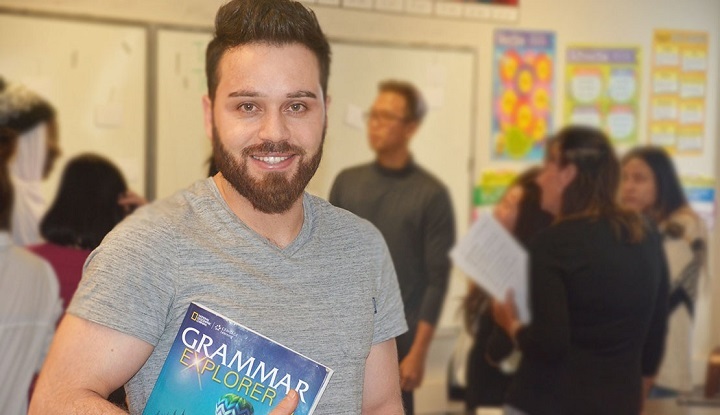 The mission of New America College is to provide intensive English language instruction to international and F-1 visa students, as well as permanent immigrant residents. This intensive educational experience will include the academic and social skills that will enable them to realize their potential, succeed in their personal and professional lives and live the American dream. New America College offers intensive English Language Acquisition Certificate Programs, TOEFL Preparation, University Preparation, American Culture and Conversation, Business English, and Communication in the Modern World courses to students who have an interest in learning English in the United States. 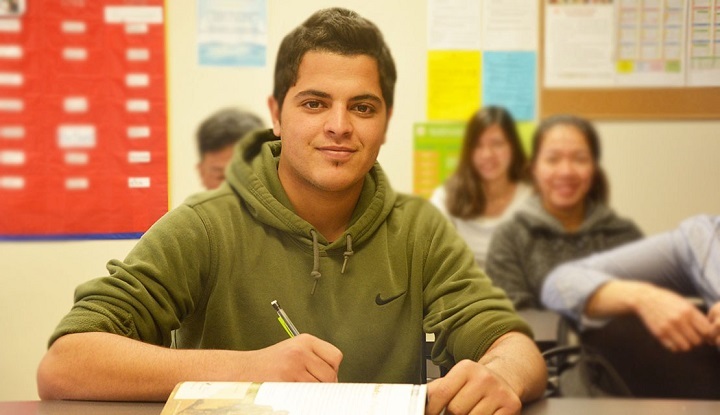 Our courses cover academic and social English skills to help students succeed. New America College is designed for students 18 years and older who have earned a high school diploma. Each student is assessed before starting classes to ensure that they are placed at the appropriate level. Individualized assessments are conducted throughout the year. English for Healthcare – F-1 students may take this class in addition to their regular full-time program. The tuition is $625.00 per month. A one-time, non-refundable, Registration Fee of $50.00 as well as an annual, non-refundable, $50.00 Resource Fee is due upon enrollment for all programs. Tutorials are held free of charge for students on Fridays from 10:30 a.m. – 12:00 p.m.
Business English is designed for students with an advanced level of English comprehension skills who have passed NAC’s levels 4, 5, or 6, or achieved a level 5 or above on the EPT (University of Michigan English Placement Test). The course will focus on business skills such as negotiating, managing and taking part in meetings, making presentations, taking part in job interviews, writing a resume, and dealing with figures. Grammar, reading, writing, listening, vocabulary, and speaking will be targeted in a business context. These courses are intended for students with little or no English Language proficiency. The instructional goal is to develop skills in all areas of language usage: reading, writing, speaking, listening, pronunciation, grammar. The units focus on subject areas and skills that are essential for everyday situations, including a variety of activities and vocabulary building exercises. The TOEFL preparation course will provide students with the skills necessary to successfully answer questions and complete the tasks on the TOEFL iBT test. Students will become familiar with the TOEFL test format as well as learn test-taking skills and strategies for each of the four sections of the TOEFL test: Reading, Writing, Speaking and Listening.